William/Reid was founded in 1984 by William Leusink and Reid Snedaker with the intention of being the premier rep firm in Wisconsin and the Upper Peninsula of Michigan by representing the very best manufacturers and offering excellent service to engineers and end users. We were purchased by Gasvoda & Associates in 2013 and the fit is perfect as they proudly offer the finest equipment and service available for the water and wastewater industries. Whether for municipal or industrial applications, GAI represents the technology to suit the project requirements. All products are backed by the most trusted service in the industry. 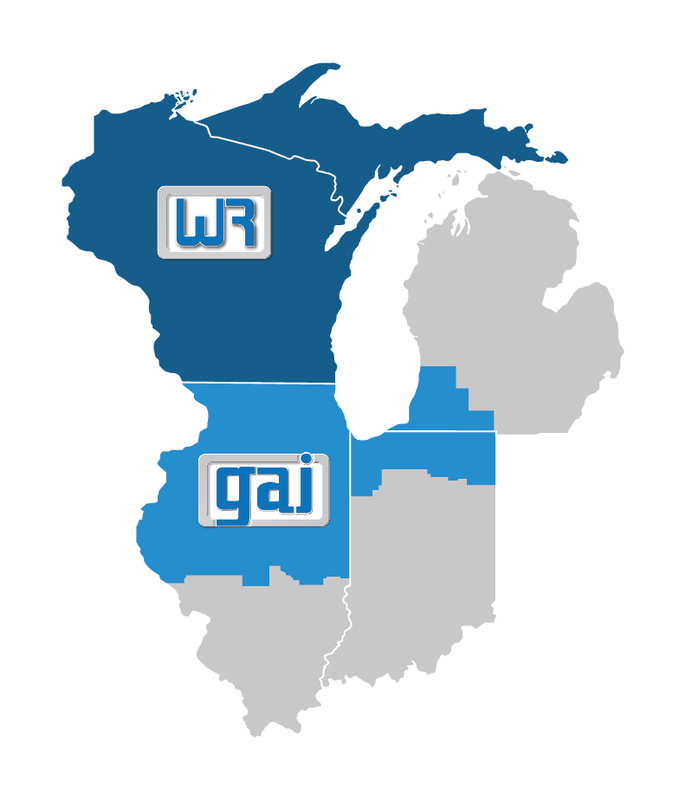 Gasvoda & Associates, Inc, covers the territory below within Illinois, Indiana, and Michigan; and, with the William/Reid Division, also Wisconsin and Upper Peninsula of Michigan. If you are located in the William/Reid territory denoted below by WR, please click on that area to be taken to that web site.